President Trump met with Aya Hijazi in the Oval Office on Friday. 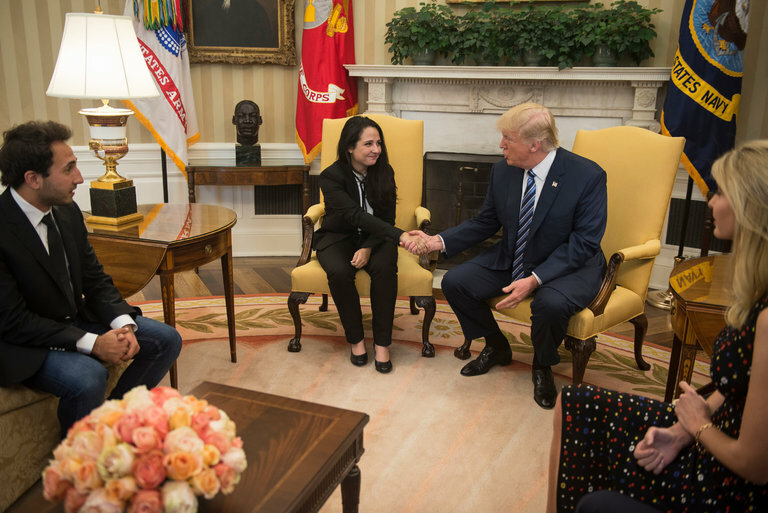 WASHINGTON — President Trump welcomed Aya Hijazi, an American aid worker detained for three years in Egypt, to the Oval Office on Friday after quietly working to secure her release this week. Ms. Hijazi, who holds dual American and Egyptian citizenship and attended George Mason University in Virginia, was arrested in Egypt in 2014 on charges of child abuse and human trafficking. Human right groups had mocked the charges against Ms. Hijazi and her husband, who worked at the Beladi Foundation, a nonprofit organization that she founded to care for street children in Cairo. Her case had become a symbol for the treatment of aid workers by the government of President Abdel Fattah el-Sisi. Mr. Trump’s administration swiftly claimed credit for working behind the scenes to free Ms. Hijazi and other aid workers. Charges against the workers were dropped in an Egyptian court last Sunday. Sean Spicer, the White House press secretary, said Mr. Trump directed his national security team weeks ago to work on securing her freedom. Mr. Spicer said the president talked privately about her case when he met with Mr. Sisi at the White House earlier this month. The Oval Office meeting between Mr. Trump and Mr. Sisi was an abrupt warming in the relationship between the two countries and may have contributed to Ms. Hijazi’s release. Former President Barack Obama had refused to allow Mr. Sisi to visit the White House because of concerns about his human rights record since assuming power in a military takeover in 2013. 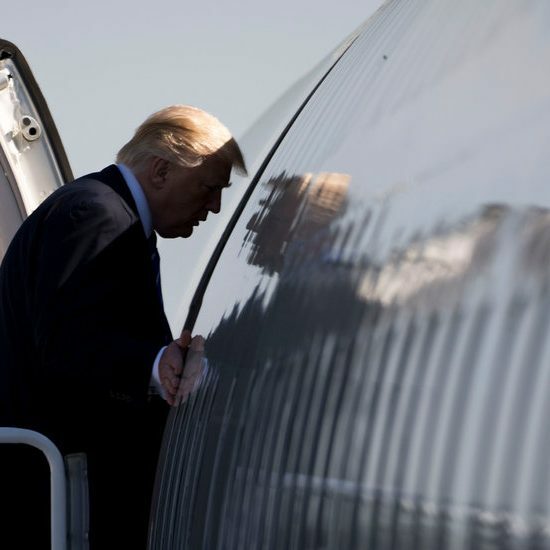 Mr. Spicer and other government officials declined to be specific about what actions Mr. Trump’s government took to successfully get the charges dropped. The verdict in Ms. Hijazi’s case was originally scheduled to be heard on March 23, but it was postponed at the last moment until Sunday, raising the possibility that Mr. Sisi might have accepted the warm White House embrace in exchange for a prisoner who was about to be freed by the court system anyway. 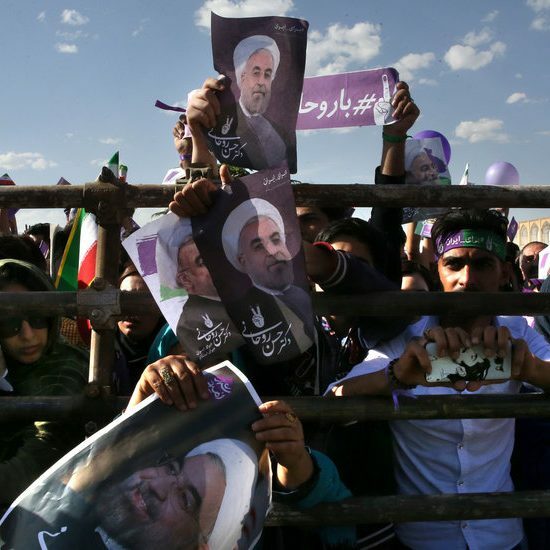 It is also unclear whether pressure from other sources, including many members of Congress, also might have helped to persuade Egyptian authorities to release Ms. Hijazi. And while Ms. Hijazi’s case had become a focus of international attention, it was not representative of the cases of many aid groups in Egypt that have been shuttered, prosecuted or had their assets frozen by Sisi in the past year. Ms. Hijazi’s American citizenship and the charges against her for child abuse were unique, leading some human rights organizations to worry that other jailed aid workers are unlikely to win release in the same way. Mr. Spicer deflected questions about the details of the Trump administration’s efforts, but said that officials worked directly with their counterparts in Mr. Sisi’s government.